Whenever you want to download anything like new movie, song , video or game, you will have to search for torrent file on internet, there are many websites which offers torrents but there are very less websites which offers a clean link to download. You have to search many sites before you will get a proper torrent link and use a torrent client to download this file. 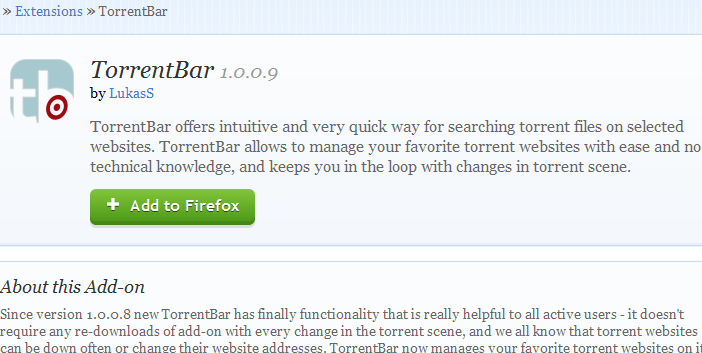 It offers truly native integrated support for BitTorrent into Firefox. It offers competitive torrent download speeds. FireTorrent integrates into your downloads window, making downloading torrents with Bit Torrent really easy. Using Firetorrent is very simple. 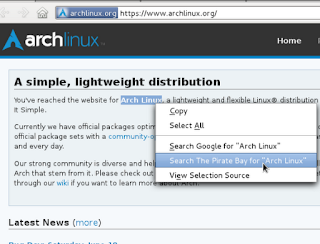 Go to your favorite torrent site, search for the torrent you wish to download . Then click on the torrent link and that's it, Firetorrent will do the rest and you will see the torrent file being downloaded as regular download. The above two Addon offers integrated support to download torrent but remaining three addons are used for quick search for torrents over the internet.Torrent Finder Toolbar is a torrent search toolbar for Firefox, which enables users to search over 180 top torrent sites and trackers from their Firefox browser the same way they used to search using www.torrent-finder.info form.It allows users to search a single site, search all sites on one page, or open the sites in Firefox tabs. Search for torrents directly from the context menu. 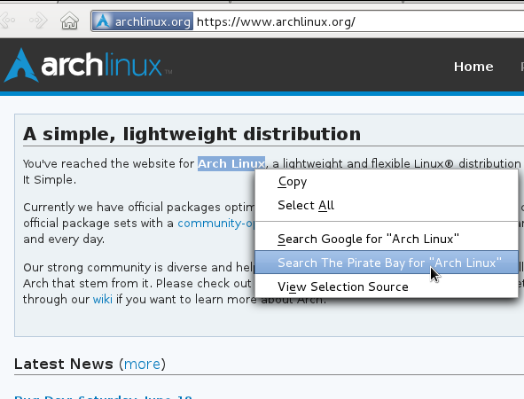 Simply select some text, right click, and search for torrents on your favorite site. I like this addon because it don't add any toolbar in firefox, helps in reducing clutter but integrated in context menu. Download Quick torrent search. 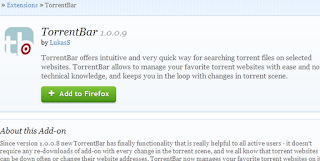 TorrentBar is very simple in use,TorrentBar offers intuitive and very quick way for searching torrent files on selected websites. TorrentBar allows to manage your favorite torrent websites with ease and no technical knowledge, and keeps you in the loop with changes in torrent scene.